Scottish farm distillery Arbikie Highland Estate have released their latest flavoured vodka, Arbikie’s 2017 Vintage Fresh Strawberry Vodka. Grown, distilled, matured, and bottled all on site, the strong 50% ABV spirit, is made using fresh strawberries with zulu wheat, both grown on the family farm. Limited to just 2500 bottles, it is subtly different to their 2016 strawberry vodka, as no two crops of strawberries are the same, especially given the wild Scottish weather. 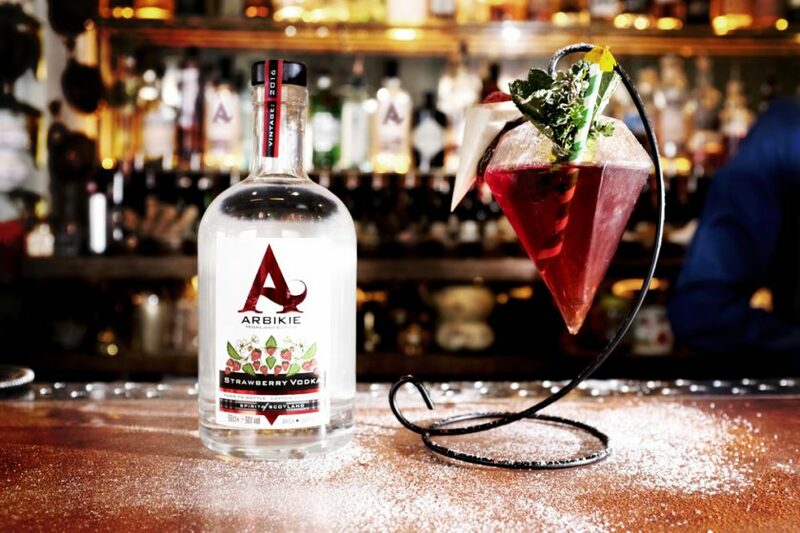 “Arbikie Strawberry Vodka is a beautiful product, a surprise in a bottle. The quality of Arbikie products is exceptional”.